What’s up yinz! As March flies by and playoffs are right around the corner, the Penguins are in a familiar spot. They are right on the heels of Washington for the top spot in the Metropolitan Division, trailing by only one point. The last two seasons (both Stanley Cup-winning seasons) the Pens finished in this exact spot. If the season were to end right now, the Pens would take on Philadelphia while Washington would face Columbus. However, we still have almost a month until then and if the Pens keep on this hot pace, they might just pass up the Capitals. 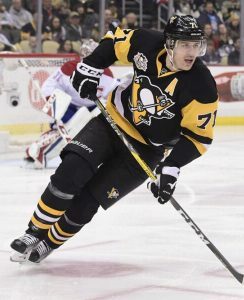 A huge contributor to the Penguins success has been Evgeni Malkin. Geno is a machine on the ice, getting points in 14 of his last 15 games. He has 39 goals and 48 assists on the season and is 2nd in points, 3rd in goals scored, and 4th in power-play points in the NHL. Also, after scoring a goal and an assist against the stars, Malkin moved into 5th place all-time for most points by a Russian-born player. This puts him high on a list of players like Alex Kovalev and Alexander Mogilny. 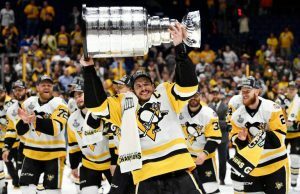 Malkin is often an overlooked player but his talent and passion for the game have led to some great success for the Pens this year and years past. The effect of a player like Evgeni Malkin is greatly enhanced when you put him on a team with guys like Sidney Crosby and Phil Kessel. At this point, the Penguins essentially have three top lines. This creates a nightmare for their opponents because they don’t know who to match their top line against and trying to stop all three is nearly impossible. When a team can roll three lines, each being just as good as the next, they become nearly unstoppable. Depth on the bench and in minor teams is what wins championships. The Penguins depth is incredible. Between the three superstars of Crosby, Geno, and Kessel and the plethora of young talent, they have very few week spots. First and second-year players like Brian Rust and Jake Guentzal are constantly contributing to the success by plugging the gaps in the roster. These guys are also capable of covering when the stars are injured or in a slump. The Pens are also very deep in goaltenders. While they no longer have the luxury of two cup winning goalies on their roster, the rookies have done a great job filling the position. Starter Matt Murray is excellent but has been plagued by injuries and family matters this season. While he’s been away, Casey DeSmith and Tristan Jarry have done a fine job covering. While Malkin may seem to be running the show now, he’s not the only one responsible for the Pen’s success. 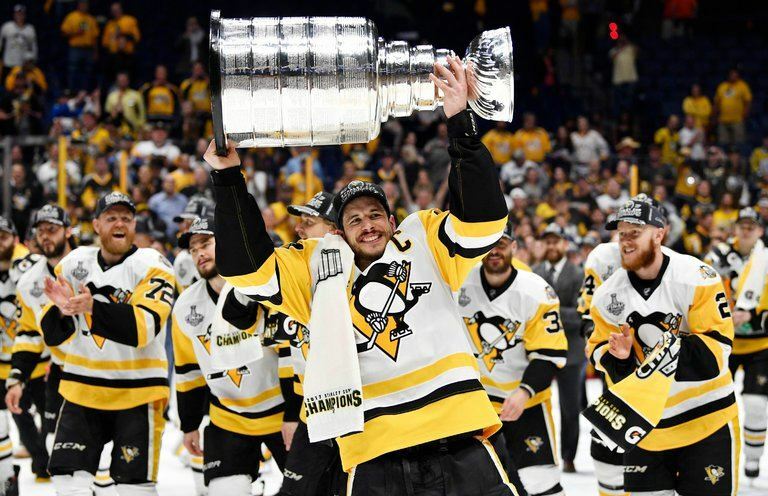 The entire roster of the Pens is superstar worthy and they have the potential to hoist the cup once again.